Fresh mussels and clams sautéed in white wine, garlic and olive oil. Small slices of our bread, grilled and topped with melted mozzarella and sliced prosciutto. 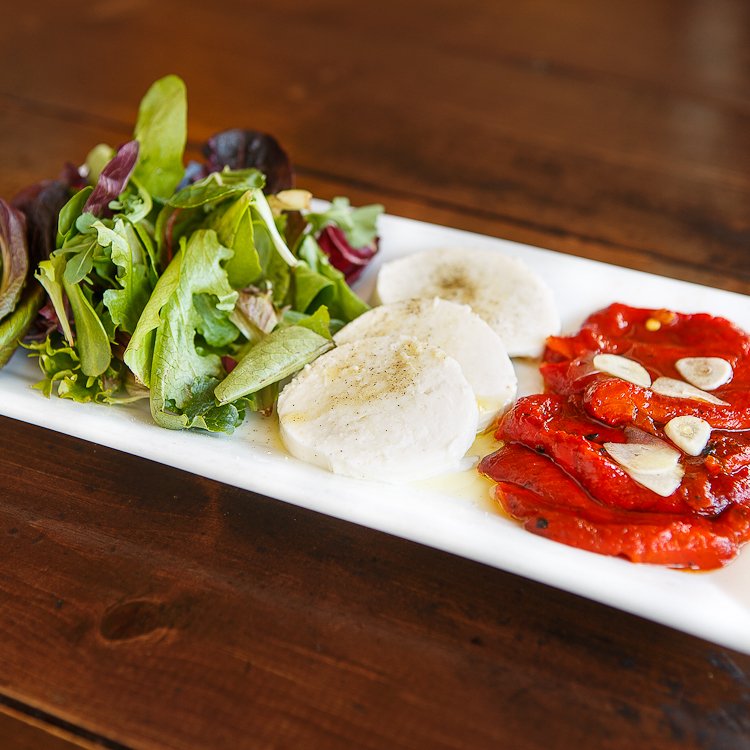 A roasted red bell pepper topped with thinly sliced garlic & extra virgin olive oil, served with sliced mozzarella over mixed greens, dressed in our balsamic vinaigrette. Hand-rolled and lightly breaded goat cheese, deep-fried and served with roasted red bell peppers and quartered Roma tomatoes over mixed greens, dressed in our balsamic vinaigrette. 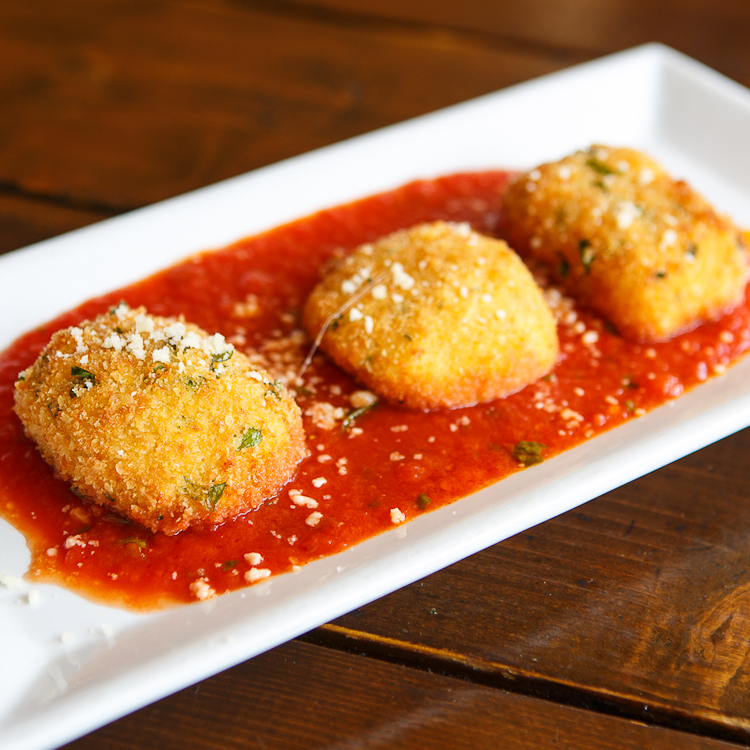 Three lightly breaded and deep-fried fresh mozzarella, smothered in our marinara. 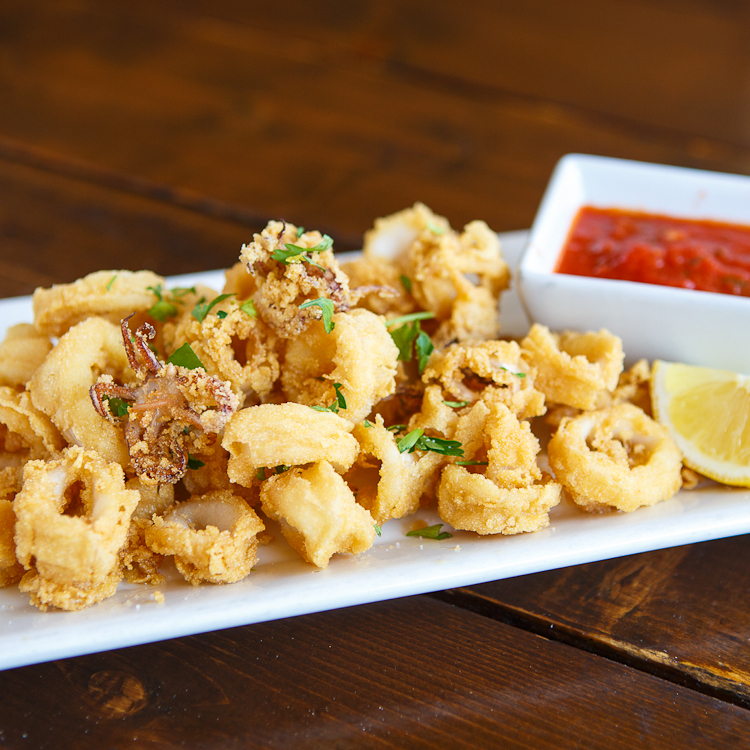 Lightly breaded and deep-fried squid, served with spicy marinara. Add shrimp 4. A warm seafood sauté of fresh squid, mussels, clams and shrimp with lemon, garlic and olive oil, served over a bed of mixed greens in our balsamic vinaigrette. 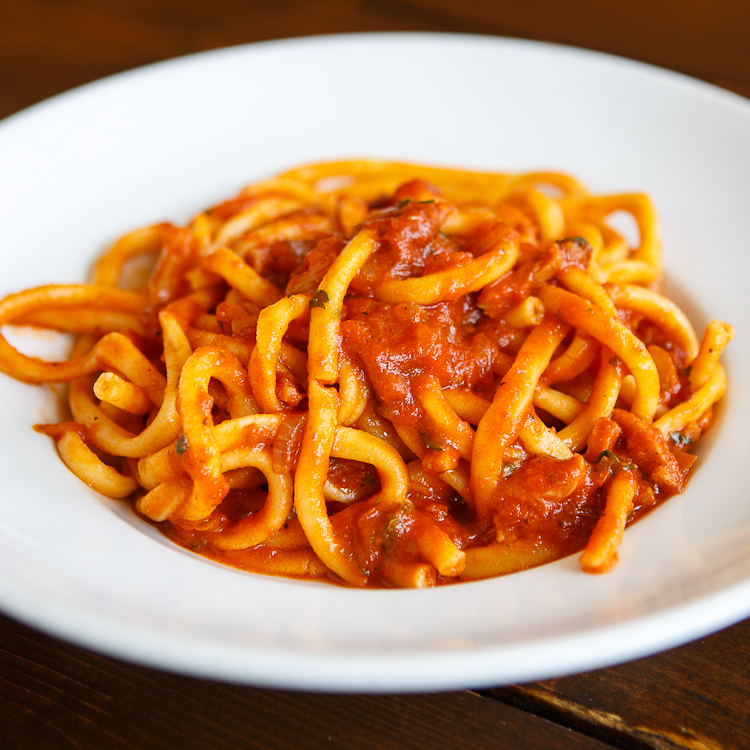 A slightly spicy sauté of our tender squid, in our marinara and sliced onions. 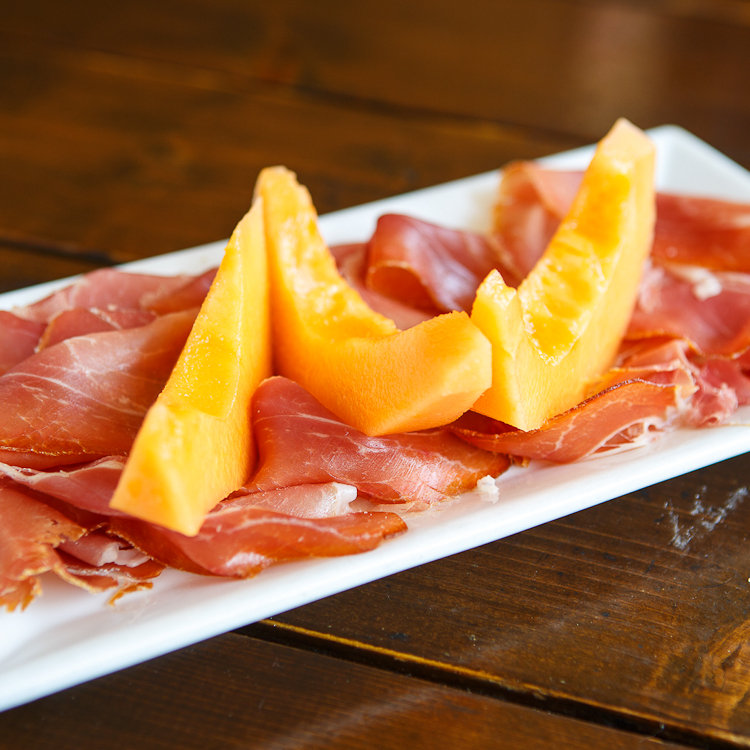 Sweet half moon slices of cantaloupe over thinly sliced cured Italian ham. Tender white beans & baby pasta in a flavorful broth, hints of garlic, prosciutto and diced roma tomato. A grilled Portobello mushroom, filled with creamy goat cheese, creamy gorgonzola and garlic, served over our baby mixed greens. 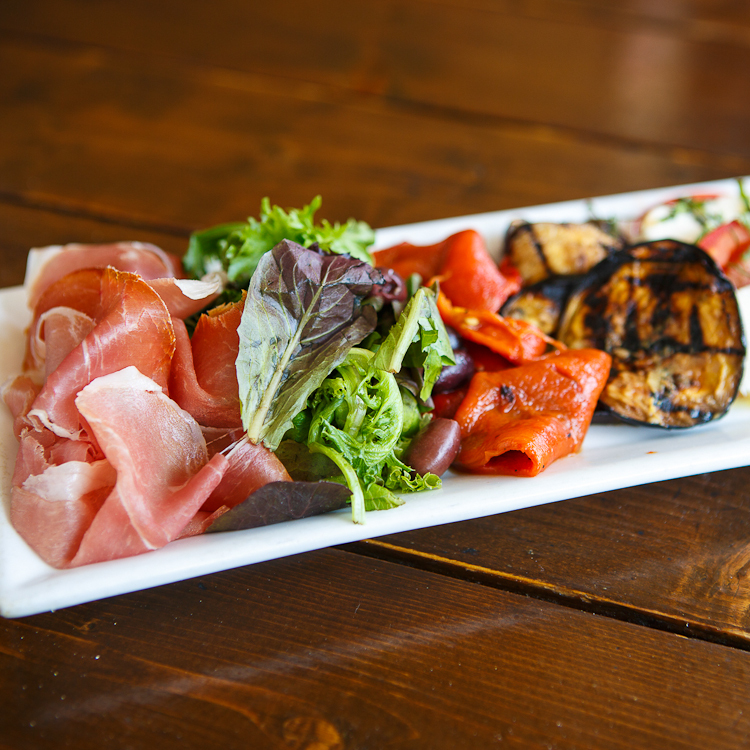 A plate of thinly sliced Proscuitto, fresh mozzarella, grilled eggplant, roasted bell pepper and Kalamata olives. 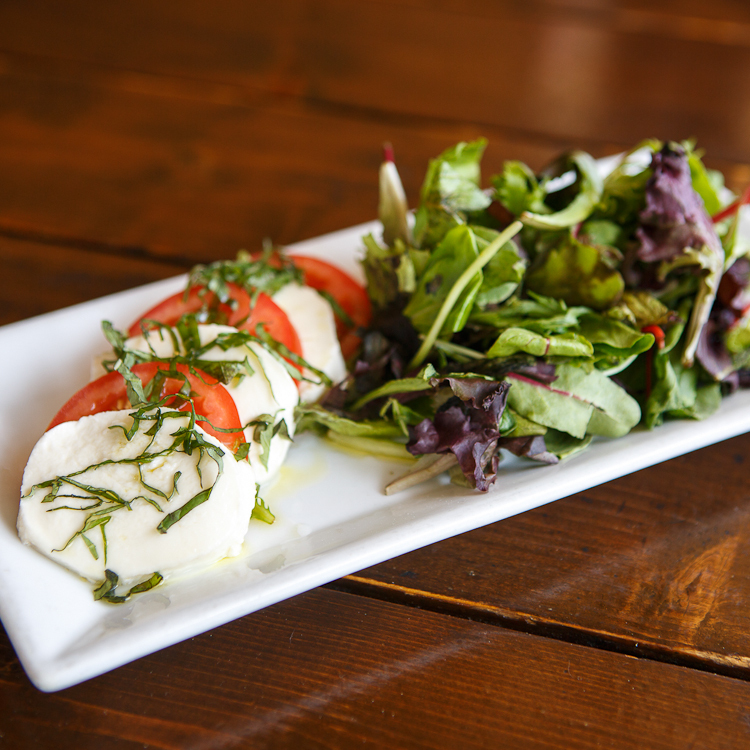 Freshly sliced Roma tomatoes and fresh mozzarella, sprinkled with a chiffonade of basil and drizzled extra virgin olive oil, served with baby mixed greens, dressed in our balsamic vinaigrette. 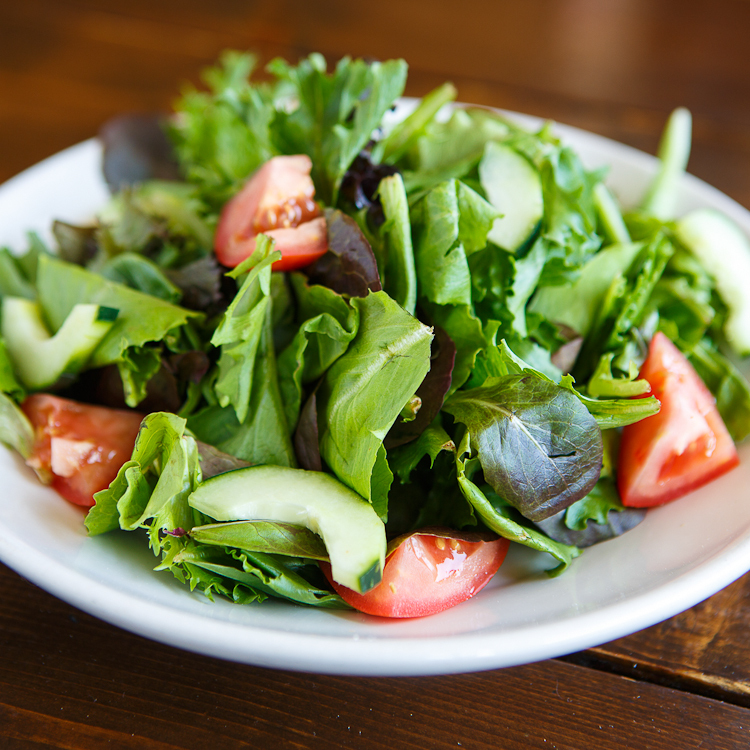 Baby mixed greens tossed in our balsamic vinaigrette with diced plum tomatoes and cucumbers. Add chicken 3. Add shrimp 4. Crisp Romaine lettuce and il Capriccio-crafted herbed croutons in a traditional Caesar dressing with Parmigiano. Add anchovies 2. Add chicken 3. Add shrimp 4. 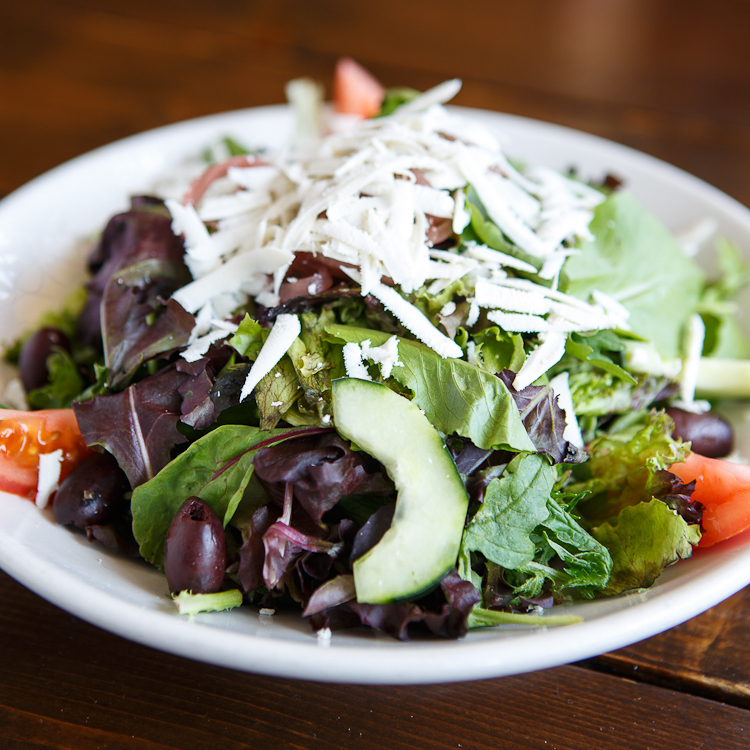 Mixed greens, tossed in balsamic vinaigrette with tomatoes, pickled onions, shredded ricotta salata and Kalamata olives. Baby Arugula greens tossed in our balsamic vinaigrette and topped with thinly shaved Parmigiano. Fresh baby spinach, tossed in a fresh lemon and olive oil vinaigrette with thinly sliced button mushrooms and warm shrimp, lightly sautéed in garlic and butter. Organic gluten-free and whole wheat options available. Please call to check on availability. 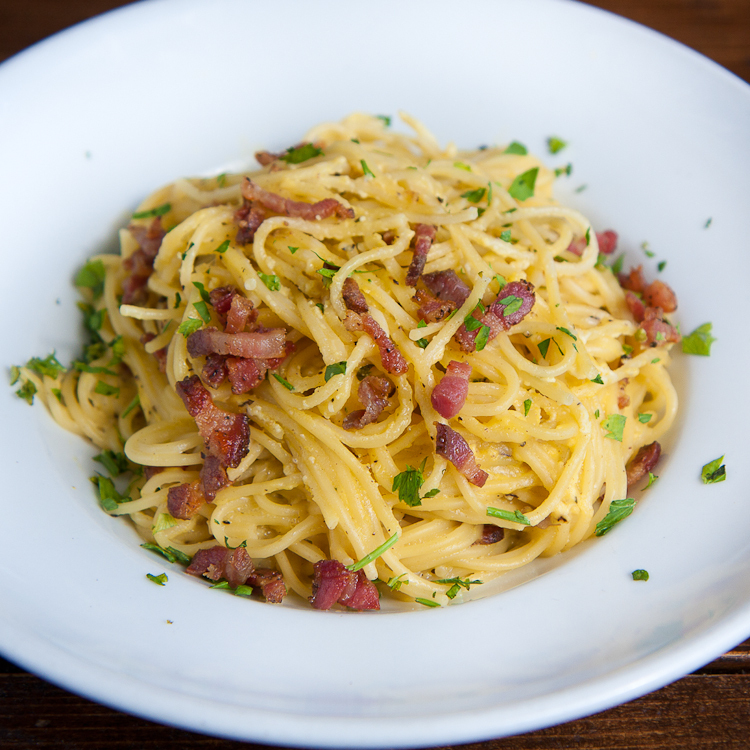 Spaghetti with egg, parmiggiano, pancetta and black pepper. Long hollow pasta with pancetta and onions in a spicy marinara. 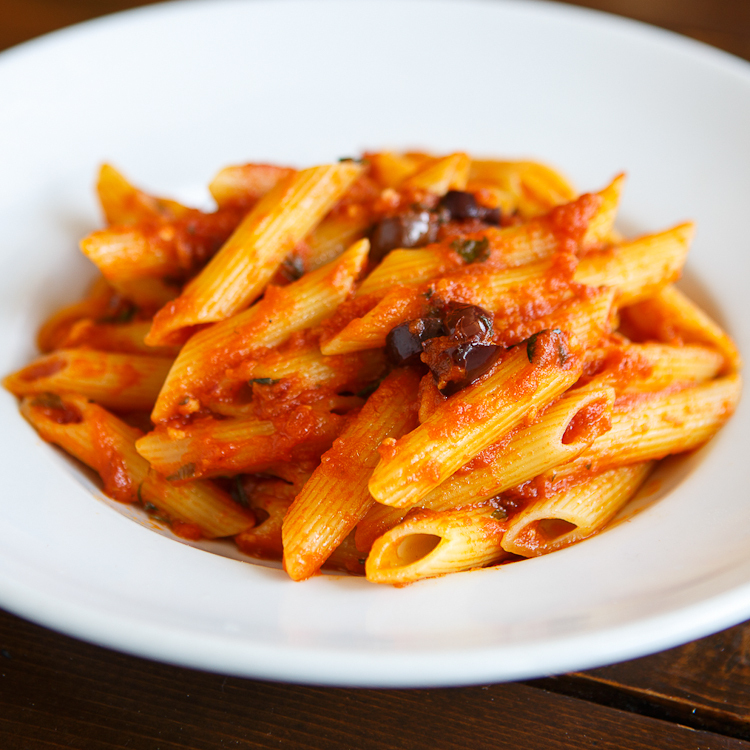 Small tube pasta in our spicy marinara with Kalamata olives and garlic. Add chicken 3. Add shrimp 4. 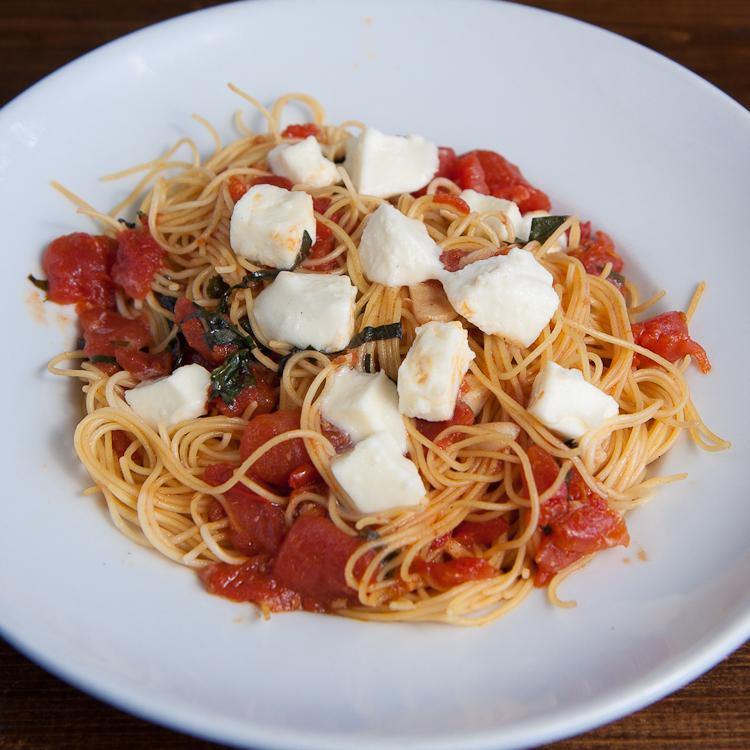 Angel hair pasta tossed with freshly diced plum tomatoes, mozzarella and a chiffonade of basil in an aglio e olio. Add chicken 3. Add shrimp 4. 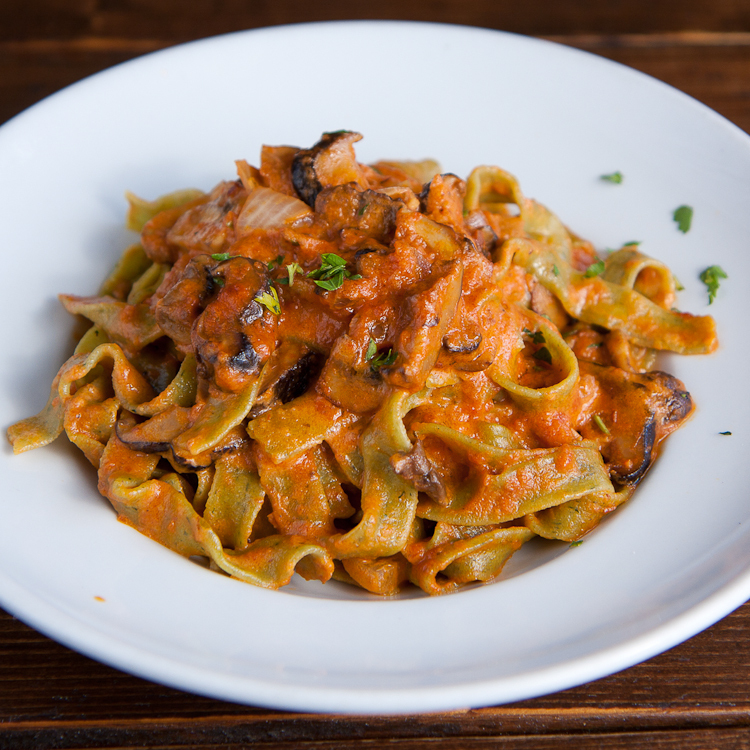 Fresh spinach pasta with a rustic blend of Shiitake, Porcini and Champignon mushrooms in our pink sauce. 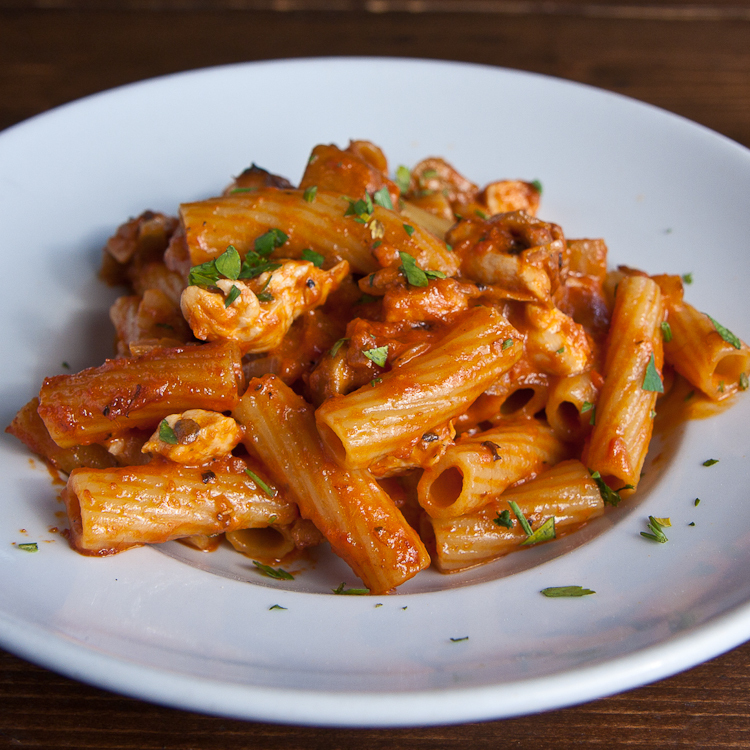 A house favorite of large tube pasta in a creamy marinara with diced chicken breast, minced onion and button mushrooms. A neighborhood favorite. 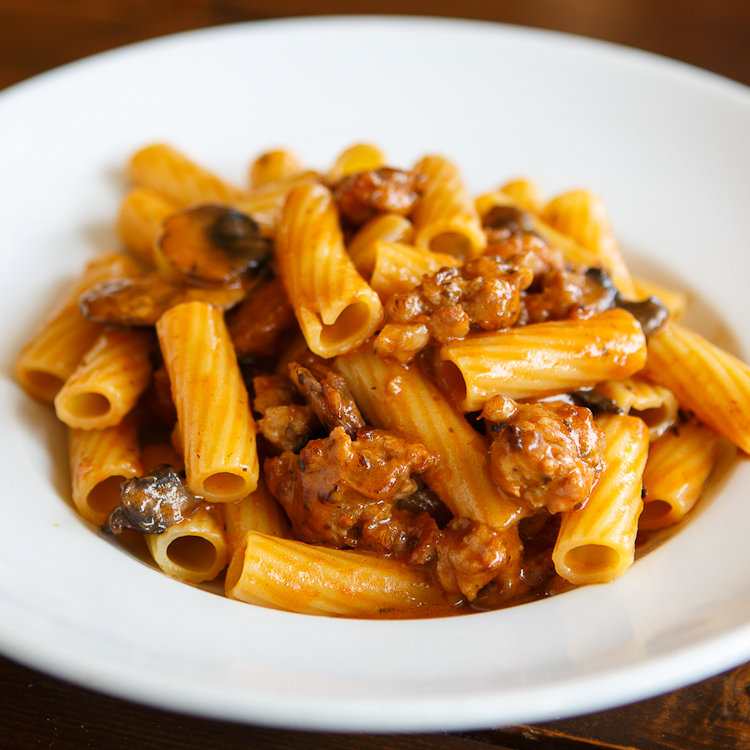 Large tube pasta in our signature sauce with button mushrooms, ground Italian sausage and a hint of fresh tomato. 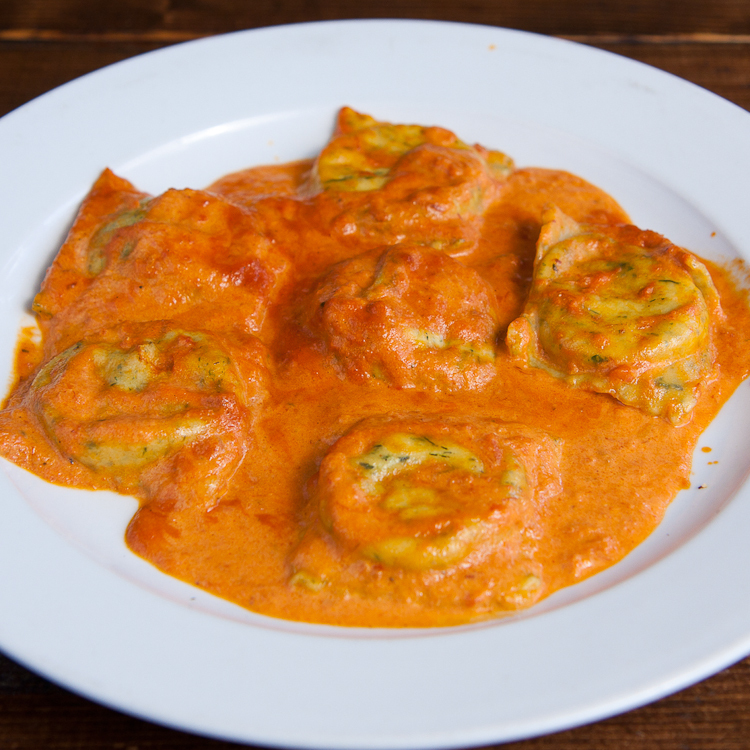 An Italian classic. 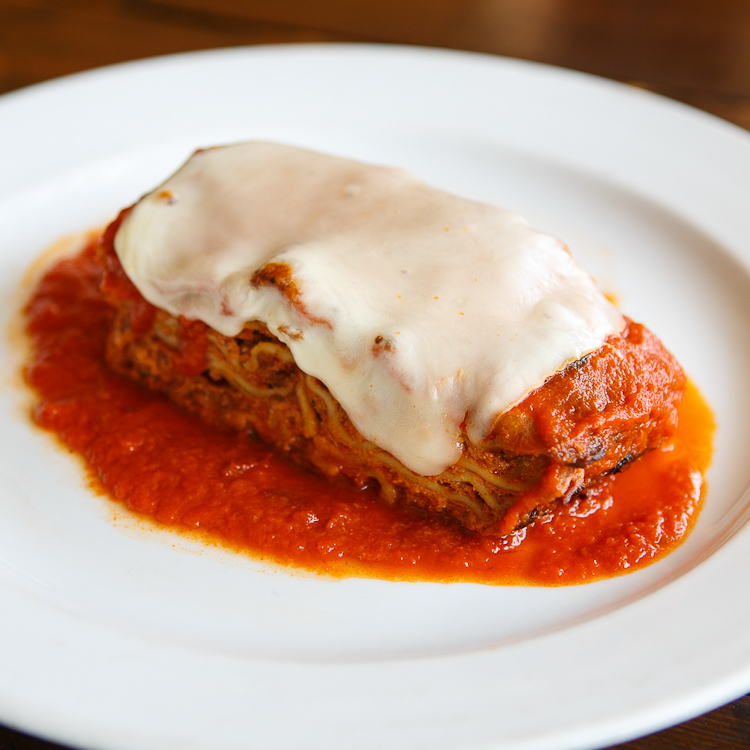 Delicate layers of fresh pasta, our meaty Bolognese and fresh Ricotta smothered in our marinara and topped with melted mozzarella. 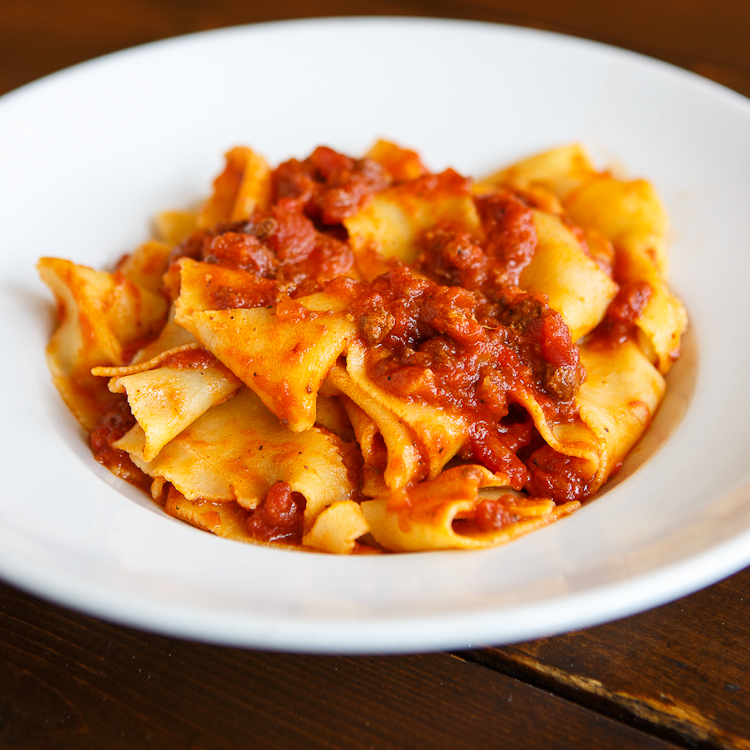 Pappardelle pasta in our classic marinara with ground beef and pork. 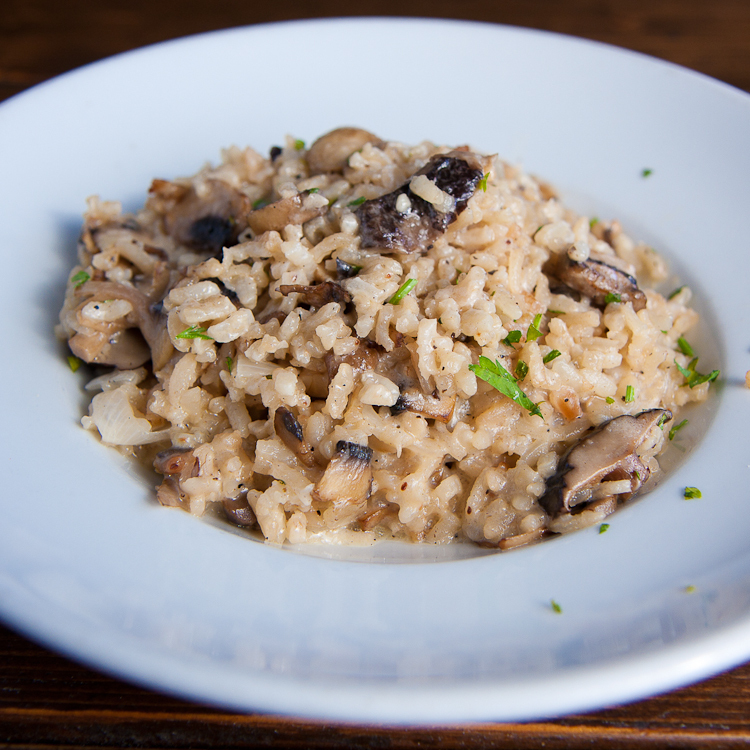 Italian Arborio rice, prepared with a blend of Shiitake, Porcini, and Champignon mushrooms in aglio e olio. 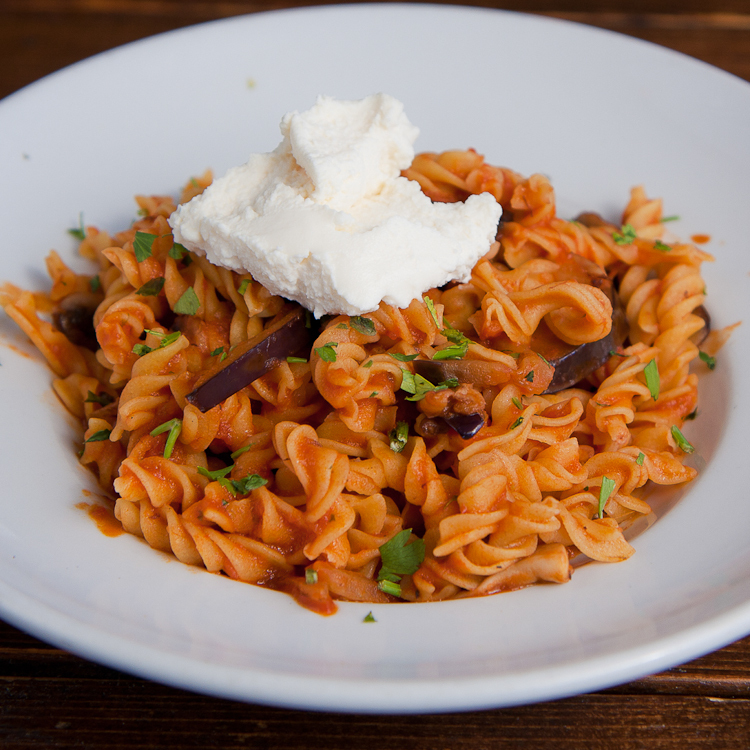 Fresh corkscrew pasta, served with button mushrooms and eggplant in our marinara, topped with a dollop of soft Ricotta. 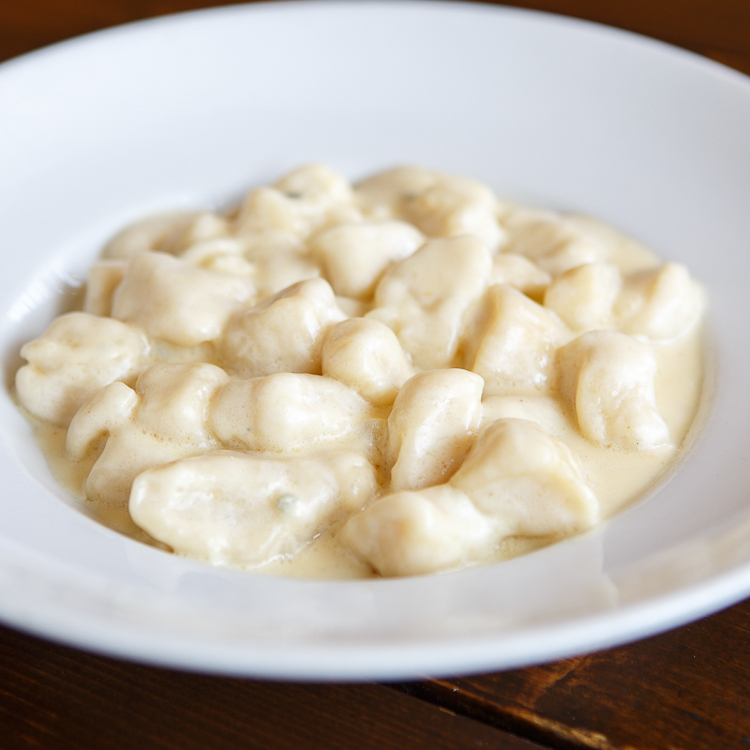 Fresh soft pillow dumplings of russet potato in our rich gorgonzola cream sauce. 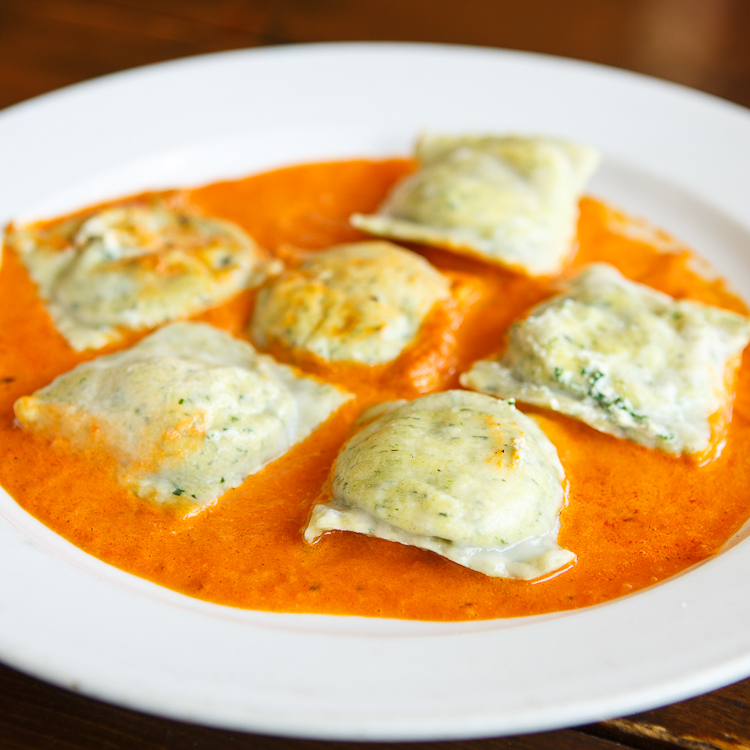 Fresh squares of spinach pasta stuffed with fresh Ricotta and baby spinach, served in our pink sauce. Fresh squares of black squid ink pasta stuffed with fresh Ricotta, diced red bell pepper and tender California lobster, served in our pink sauce. Long narrow ribbons of pasta, tossed with tender in-shell Manila clams, sautéed in olive oil, white wine and garlic. 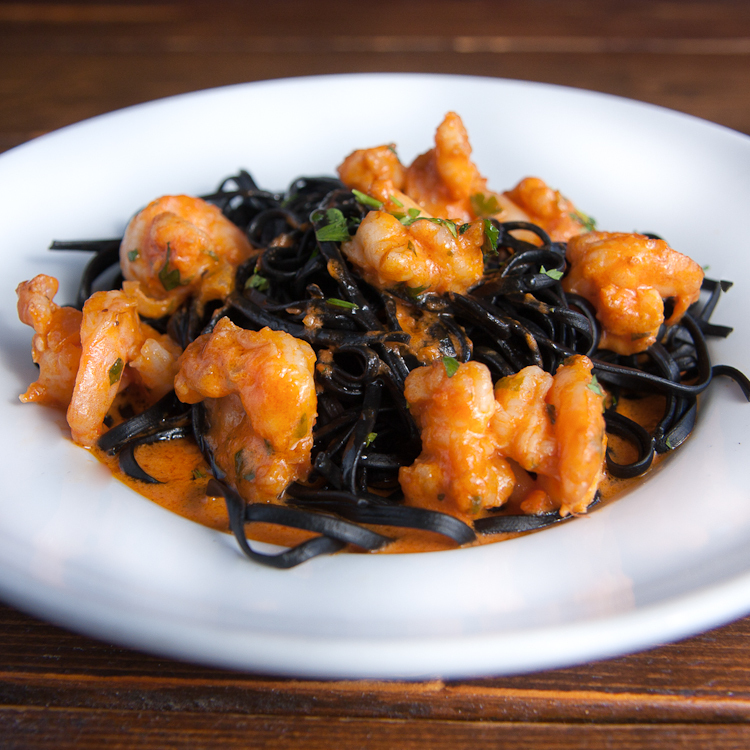 Long thin ribbons of our fresh black squid ink pasta, sautéed with tender shrimp and minced caramelized onion in our pink sauce. A tender seafood medley of squid, mussels, clams, and fresh fish sautéed in olive oil and garlic in our marinara sauce. 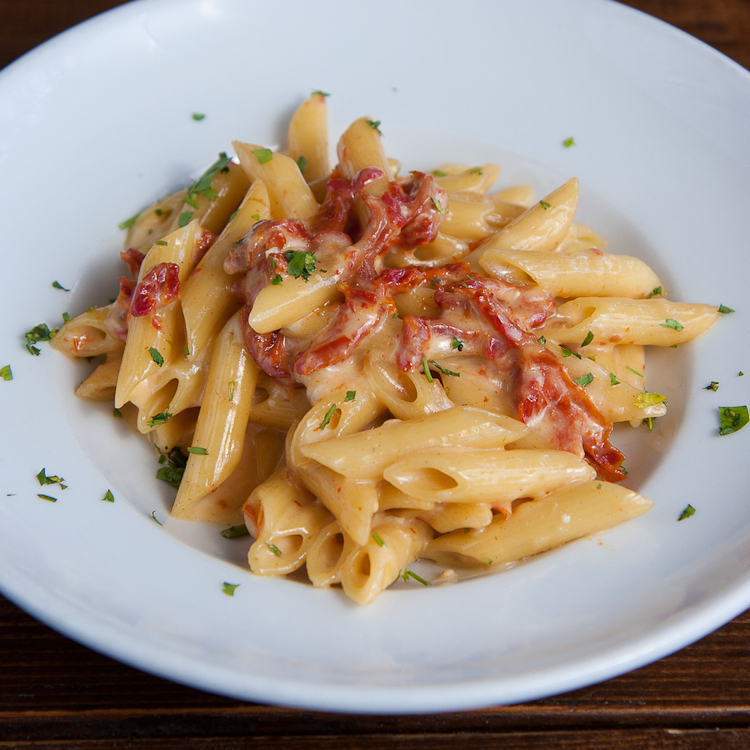 Penne tossed in a creamy imported Italian Gorgonzola, with Parmigiano, Romano, and sundried tomatoes in a cream sauce. 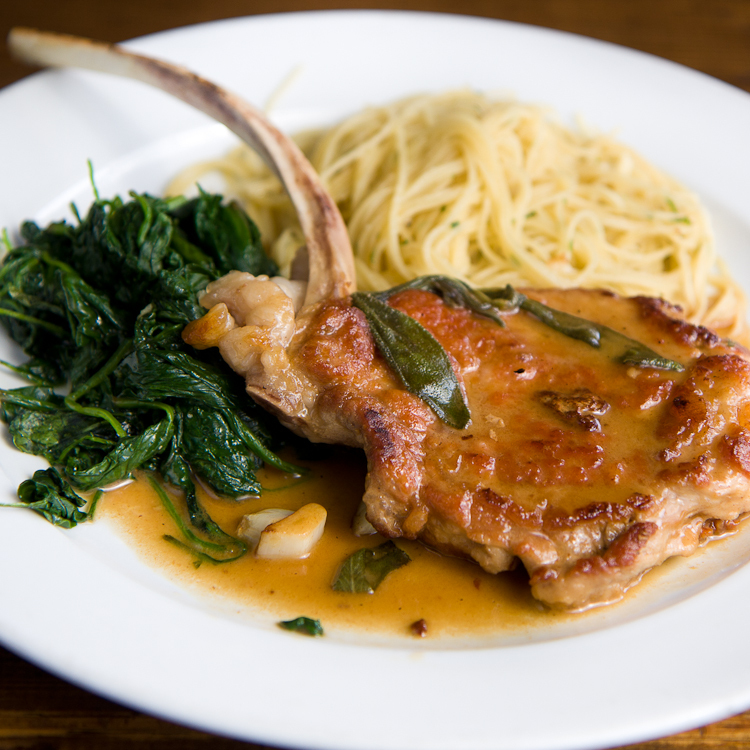 Served with your two choices of: sauteéd spinach, sauteéd mixed vegetables, Il Capriccio’s roasted potatoes or Capellini Aglio e Olio. 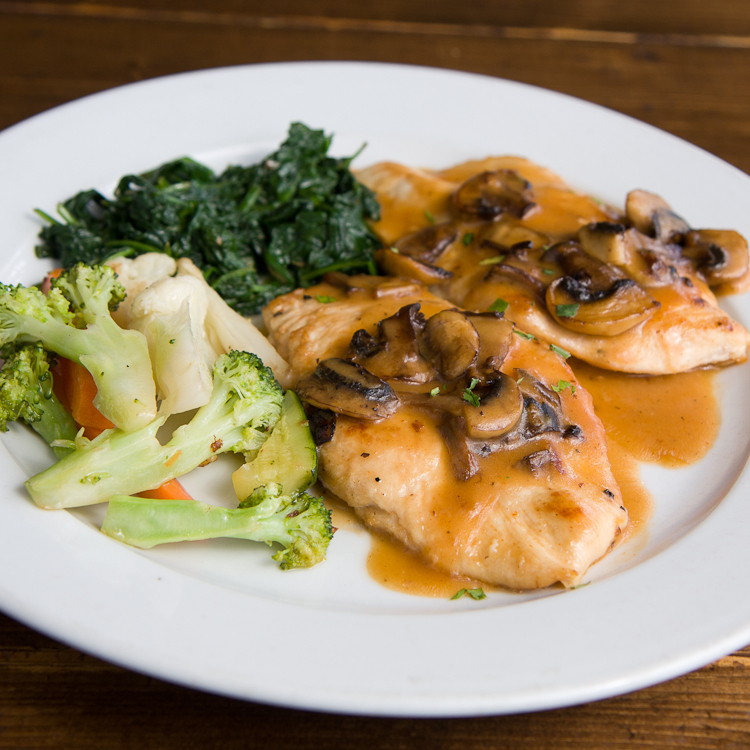 Boneless pork loin sautéed with portobello mushrooms, in our gorgonzola sauce. 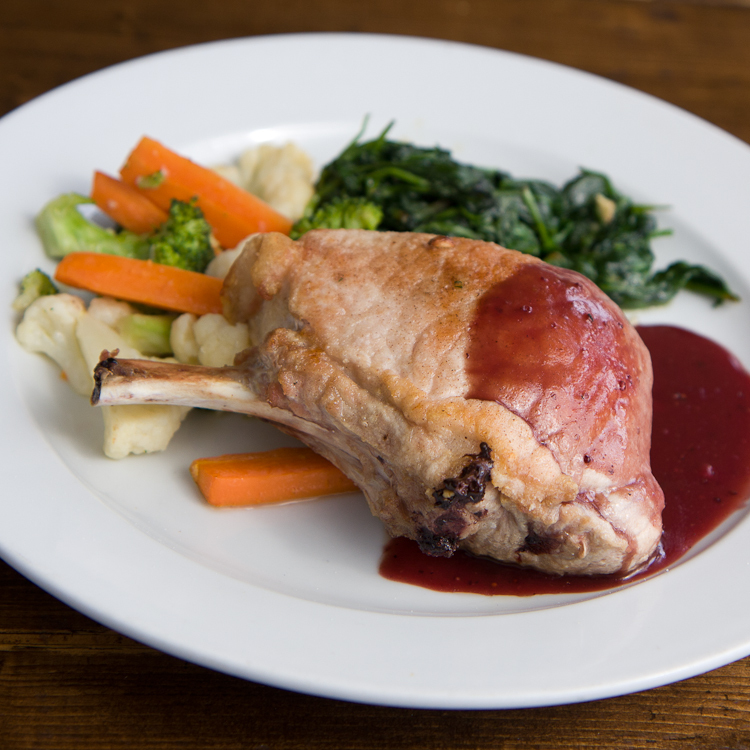 A buttery double-boned roast pork chop, stuffed with fresh mozzarella and prosciutto, served in our signature sauce. Pan-roasted Ribeye in a green & black peppercorn sauce. 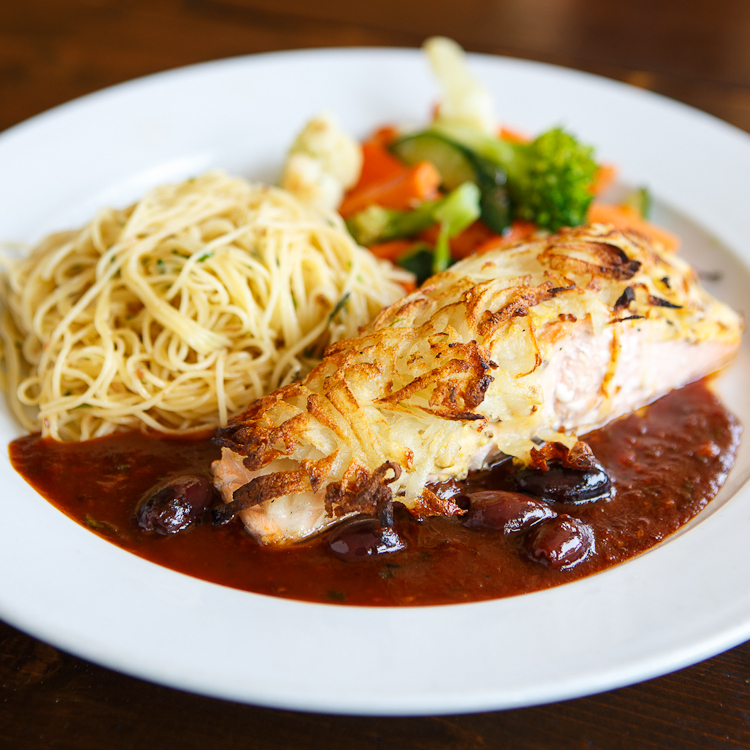 Fresh fillet, brushed with whole-grain mustard & encrusted with grated potato, served with a balsamic Kalamata olive sauce. A delicate fillet of trout, brushed in lightly seasoned olive oil and grilled. 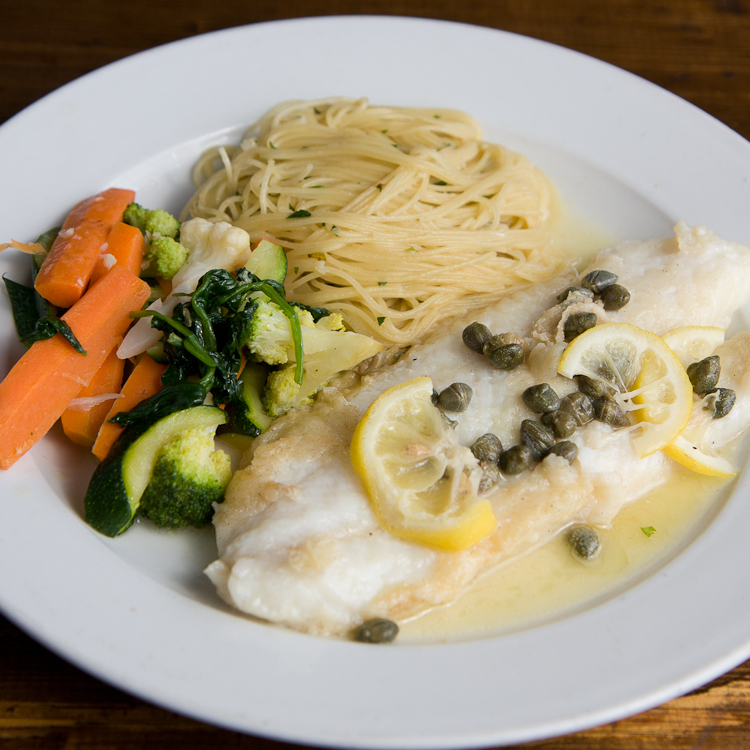 Fillet of sole, sautéed with freshly sliced lemon, butter and capers. Intended for two guests to share. A large fresh seafood sauté of tender prawns, clams, mussels, squid and shrimp served in our spicy marinara. Add capellini pasta 3. 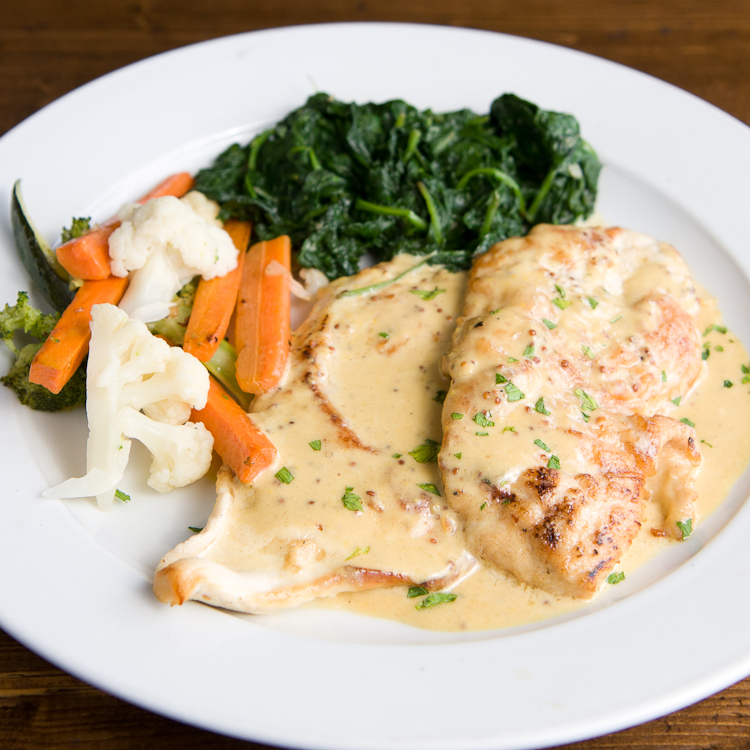 Two chicken breasts in a creamy mustard sauce. 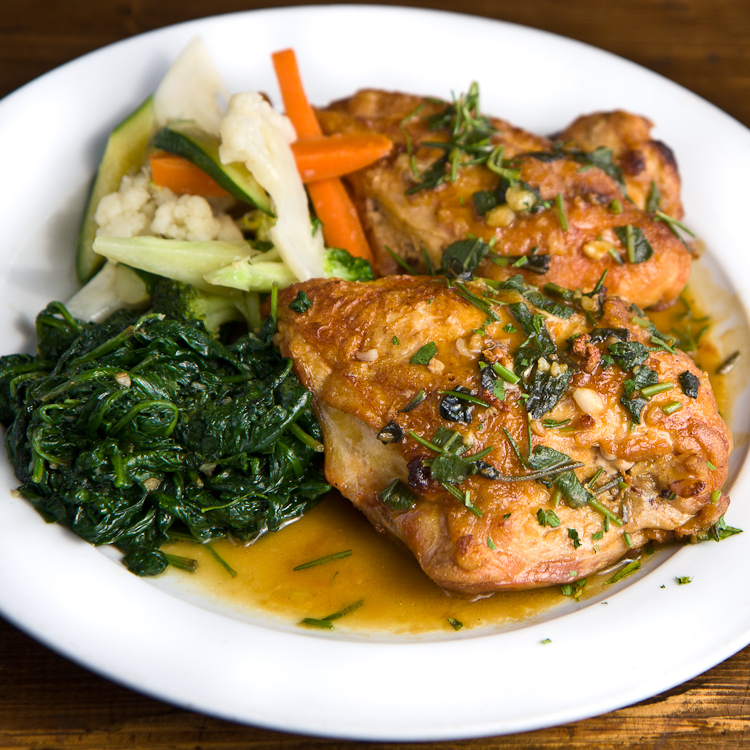 A large portion of two bone-in chicken breasts, oven-roasted with white wine, garlic and rosemary. 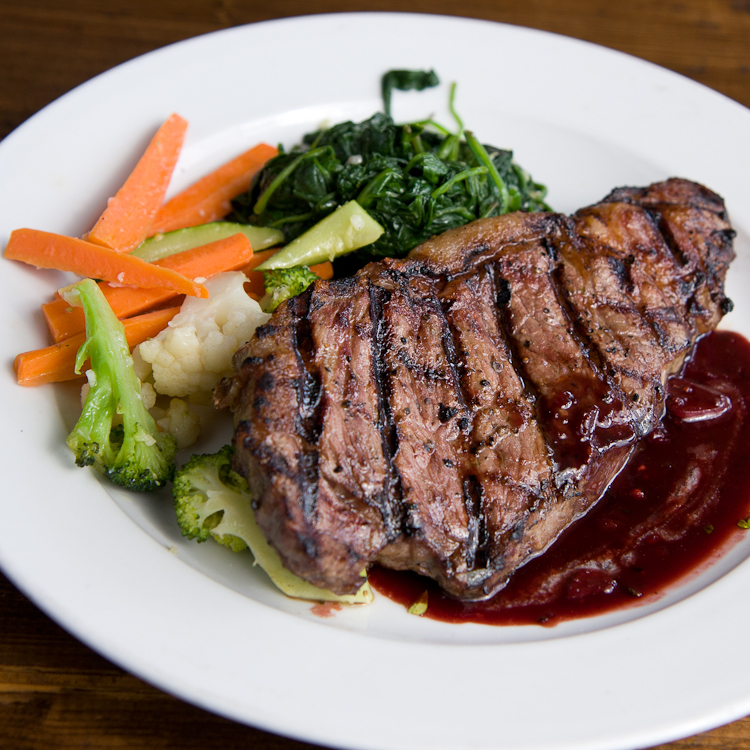 *Please call to check on bone-in availability before ordering. Thank you. Two lightly floured breasts of chicken, sautéed with sweet Marsala wine and savory button mushrooms. 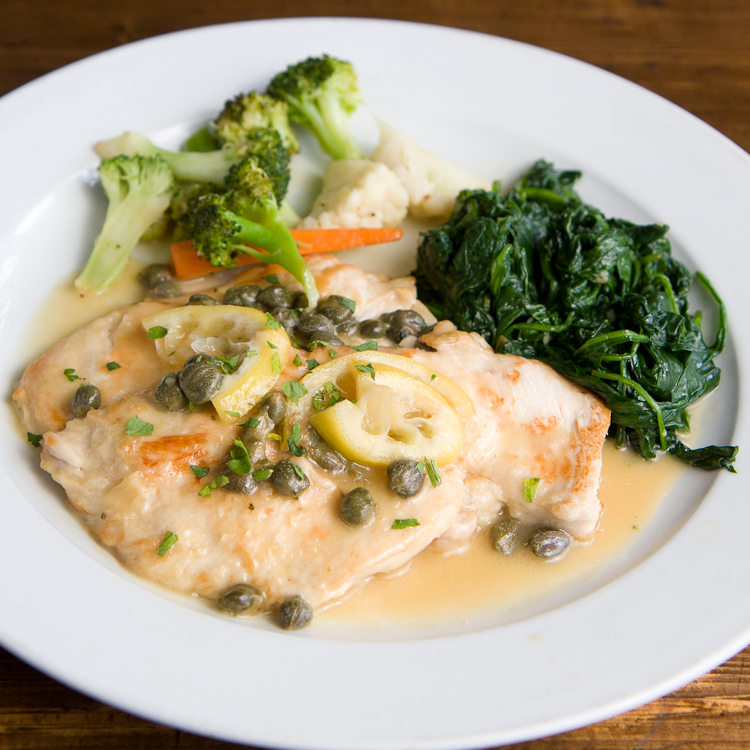 Two lightly floured breasts of chicken, sautéed with freshly sliced lemon, butter and capers. 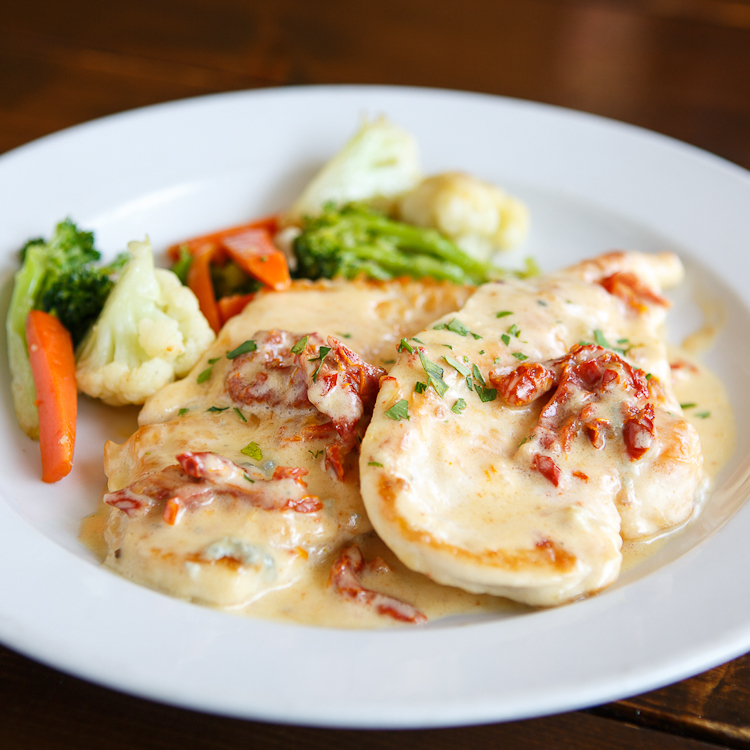 Two lightly floured chicken breasts, served in a creamy imported Gorgonzola Alfredo with sun-dried tomatoes. 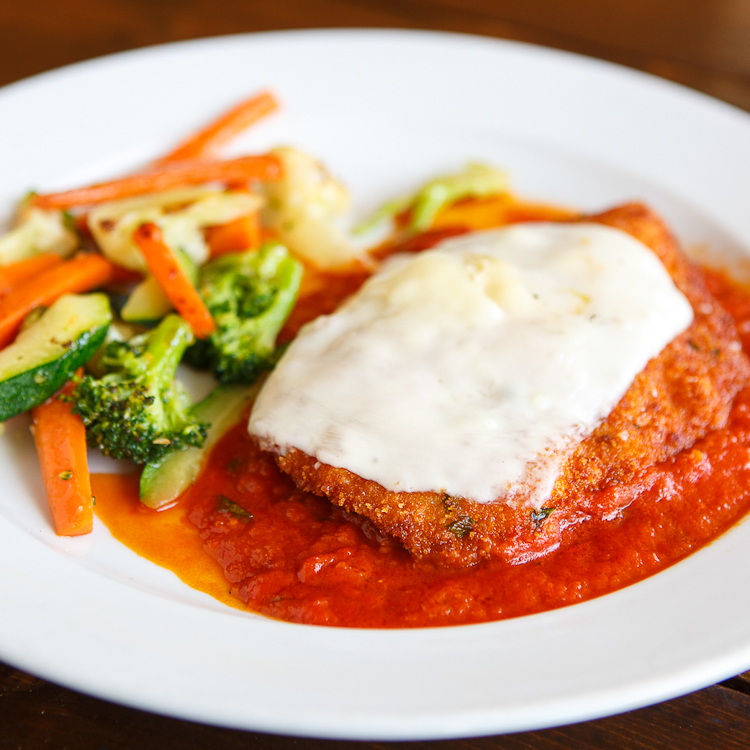 A large breast of breaded chicken lightly fried, then smothered in our marinara and topped with melted mozzarella. 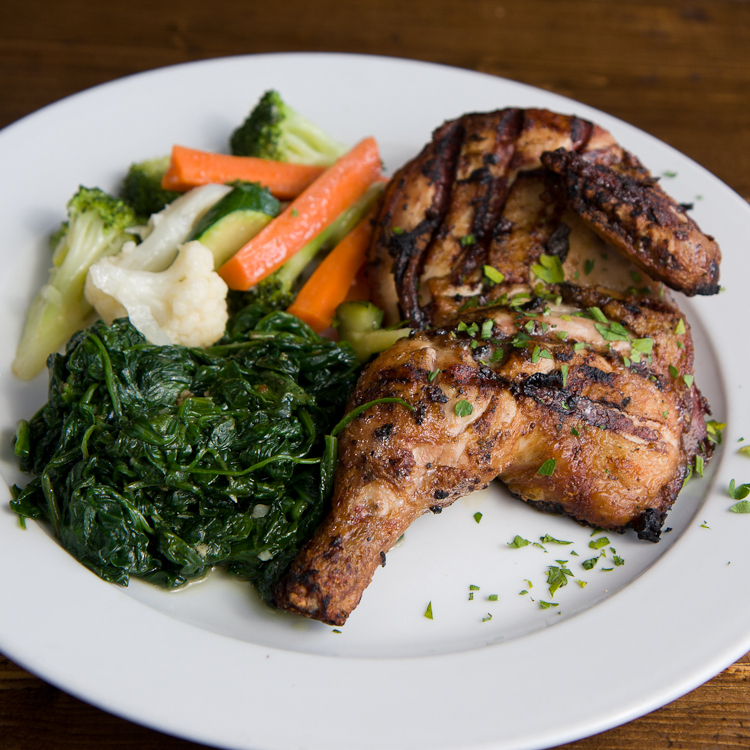 Bone-in half chicken, grilled with rosemary, sage, garlic and olive oil. 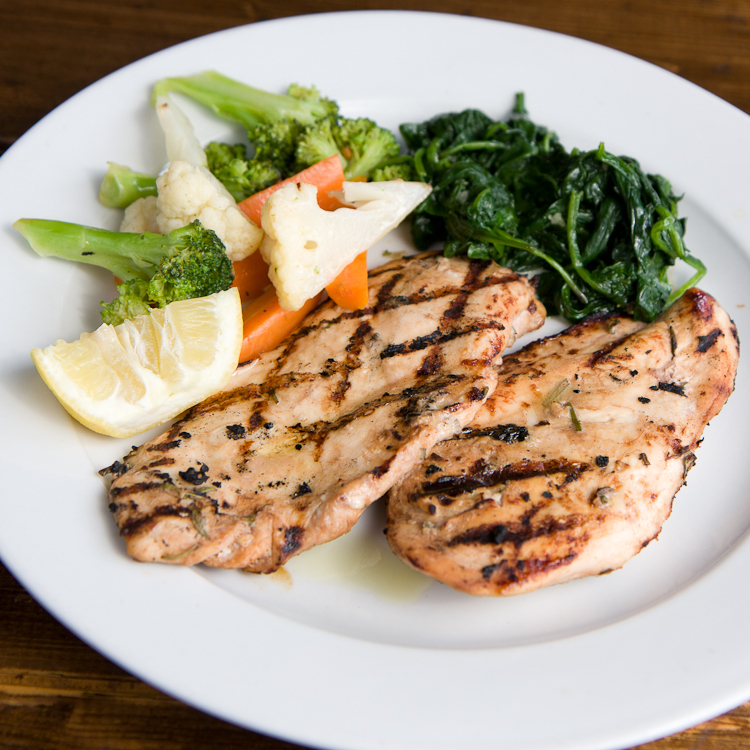 Two chicken breast grilled with herbs. Kiki’s favorite. Sautéed carrots, cauliflower, Italian zucchini, broccoli, champignon and portobello mushroom in garlic, olive oil and checca. Add pasta 2. 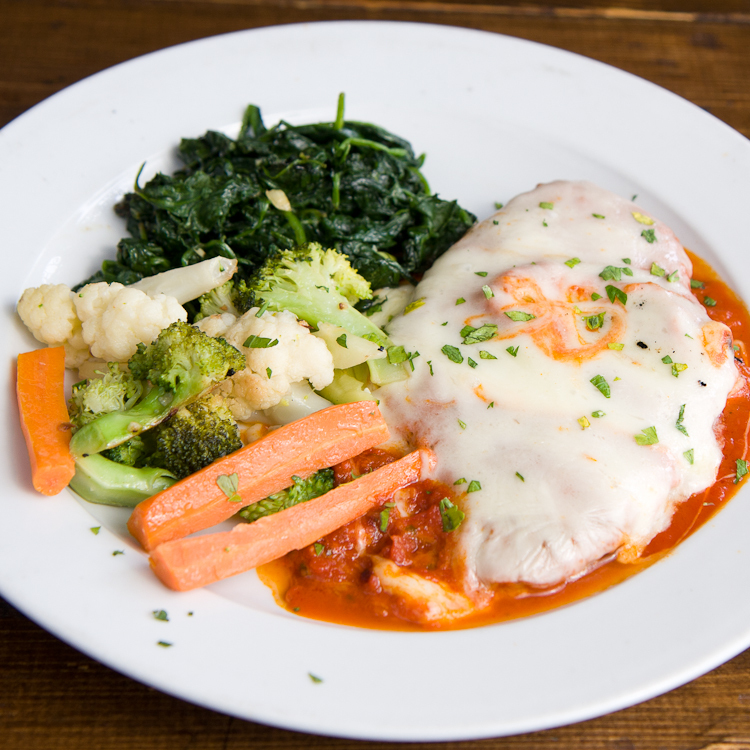 Grilled slices of eggplant, layered with Ricotta, smothered in our marinara and topped with melted mozzarella. 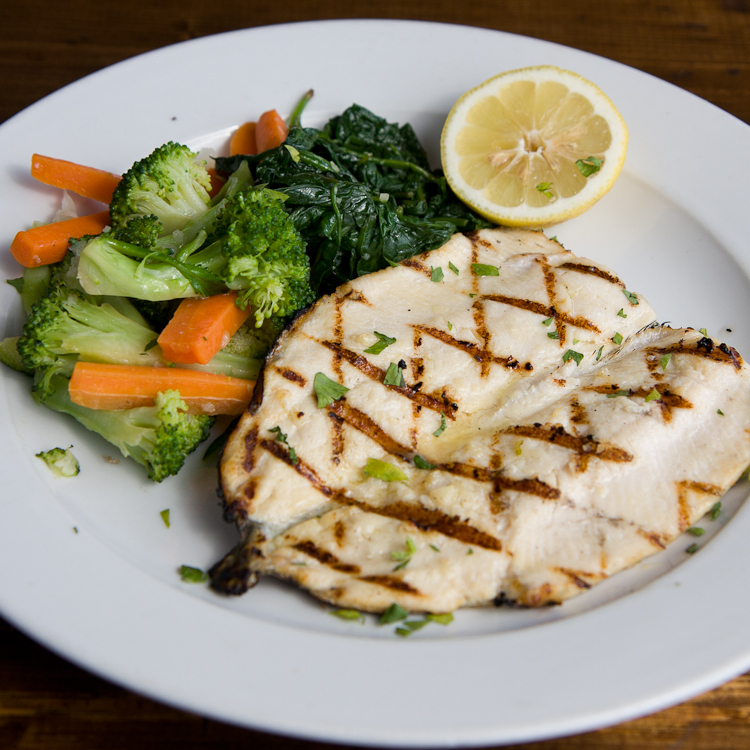 Served with your two choices of: sautéed spinach, sautéed mixed vegetables, roasted potatoes or Capellini Aglio e Olio. 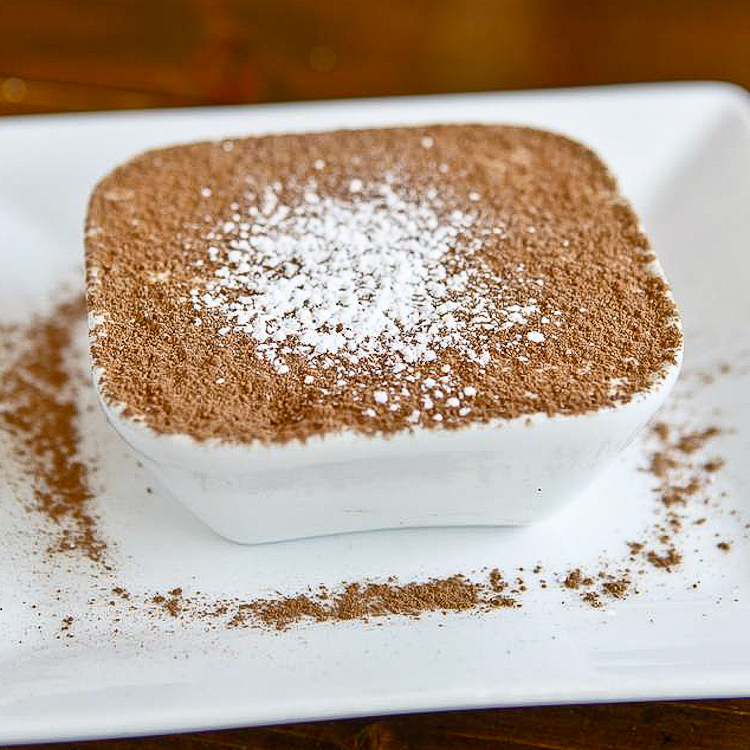 Please ask your server about our daily special dessert $6. A chilled creamy vanilla custard, topped with a caramelized sugar shell. 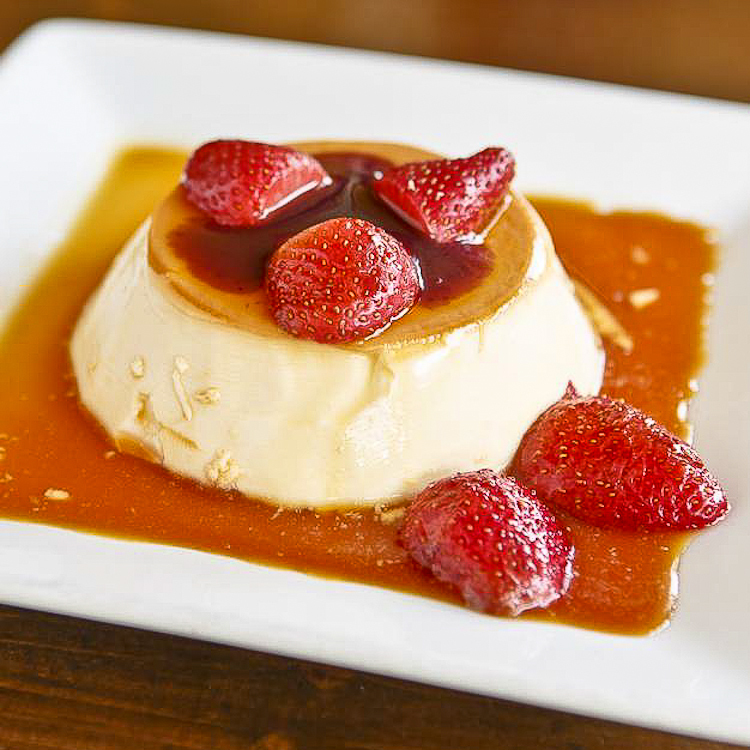 A sweetened cream & milk gelatin dessert, served in a deep caramel sauce, topped with fresh strawberries. 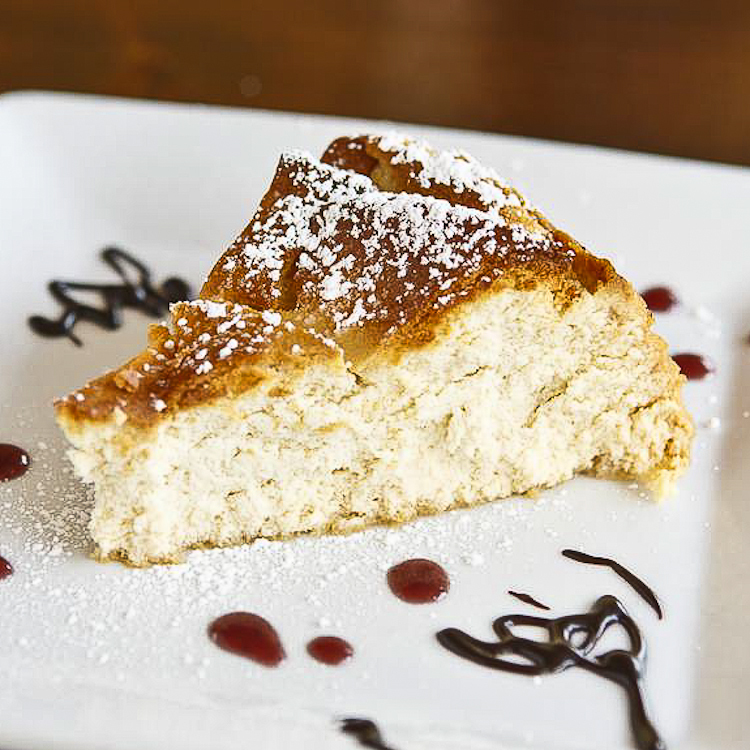 A smooth cheesecake, made with Ricotta, cream cheese and sour cream, dusted with powered sugar. A smooth cheesecake, made with Ricotta, cream cheese and sour cream, dusted with powered sugar and topped with fresh strawberries. 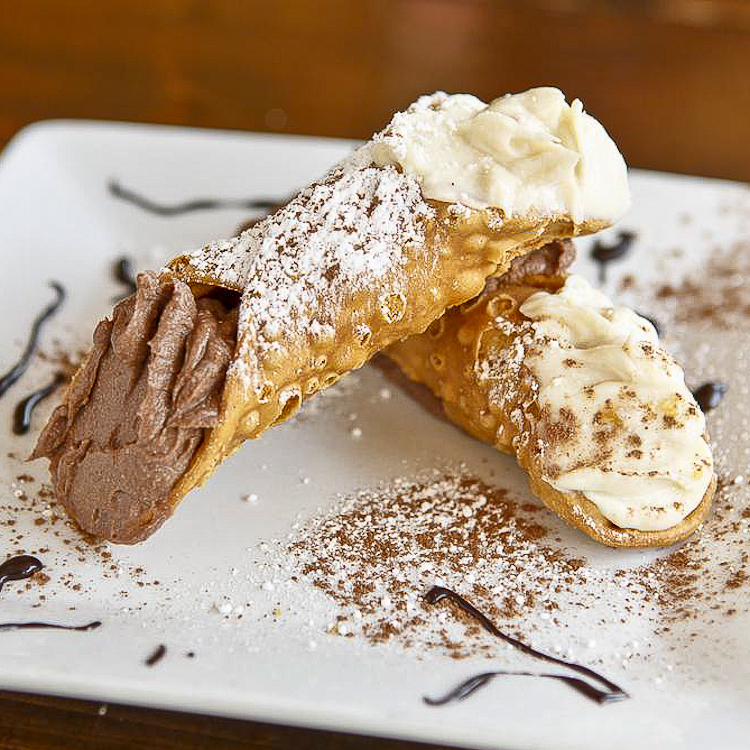 Two imported pastry shells, filled with a sweetened chocolate and vanilla Ricotta cream with candied citron. 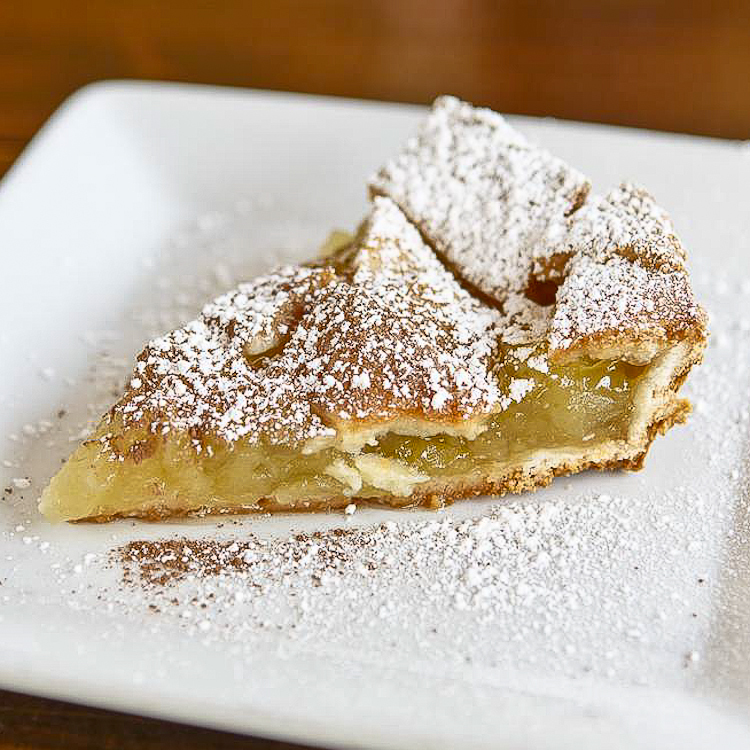 Tender sweetened apples, baked in a flaky double-crusted pastry shell. Add vanilla ice cream 1. Blueberry, cherry or peach, baked in a flaky double-crusted pastry shell. Add vanilla ice cream 1. 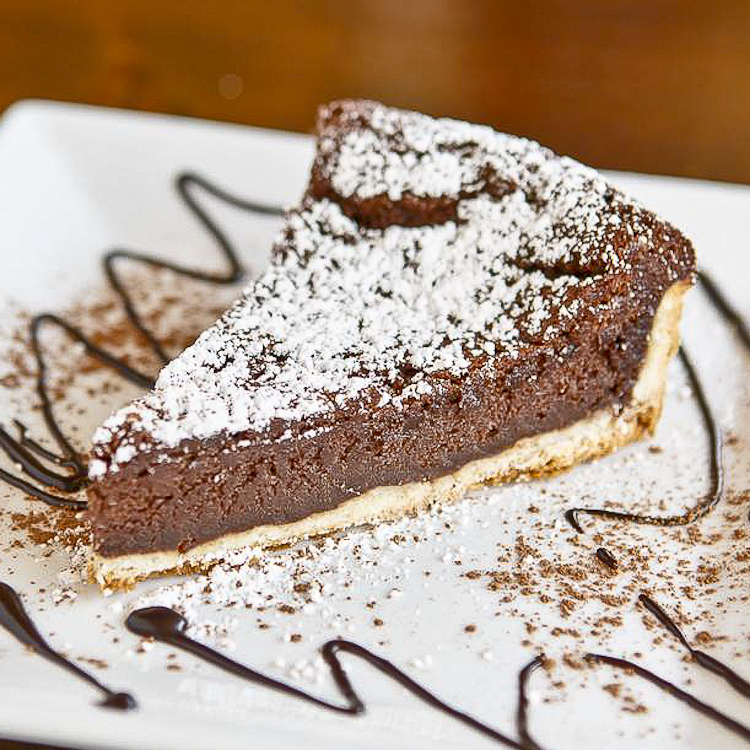 A rich bittersweet chocolate ganache, baked in a flaky, double-crusted pastry shell. Add vanilla ice cream 1. Steamed milk, blended with chocolate syrup. Selection of herbal and specialty teas.